→Is Legal Shield a Ponzi Scheme? I Was Really Surprised! Is Legal Shield a Ponzi Scheme? I Was Really Surprised! “Imagine the world where anyone could access an attorney about any legal issue. Now imagine the world where everyone can afford to do it. That’s the world we are living in with Legal Shield.” That’s how the marketing video of Legal Shield starts. It sounds like a great idea but in this review, we are going to take a look behind the curtains. You will find answers to all your questions within the next 2-3 minutes by reading this article. Afterward, you can leave me a comment or a question below and I’ll be happy to respond all of them personally. Founded: In 1976 with a name Pre-Paid Legal Services. The name changed in 2011. Short Review: Legal Shield is an extremely controversial system. Some people love it while hundreds of people would never use it again. I would personally stay away from this kind of systems and concentrate my time and effort on something else. Started more than 40 years ago, LegalShield claims to provide affordable attorney access and legal services to clients spread across 49 United States and four Canadian provinces. So, Legal Shield is only available for USA and Canada based individuals. Legal Shield is among one of the oldest multi-level marketing companies in the United States. This company started offering its services to the public back in 1984, almost a decade after it was founded. Most old MLM-programs like Herbalife, Amway, Avon, and others concentrate in a totally different field than Legal Shield so it’s quite unique. It’s obvious that it’s not a Ponzi scheme. LegalShield was later acquired by MidOcean Partners in 2011. 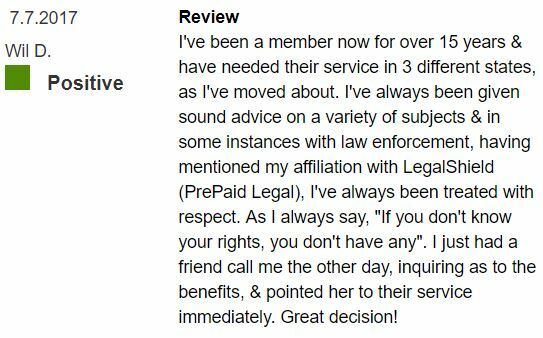 The idea behind LegalShield is that a customer pays monthly fees (starting from ~$20/month) to cover themselves in case they ever need legal help at some point in their lives. All Legal Shield services are provided on a prepaid basis. These services are available for small businesses as well as individuals along with identity theft protection and many other products. At this point, you may think like, “Awesome! I will have my very own attorney available if I just pay $20 per month. How great is that!” But please, read until the end of this article to find the true nature of this system. In this section I’ll explain how Legal Shield products are marketed to you. Further I’ll tell you the real customer experiences about them. Document Preparation: the Power of attorney, loan documents, wills, etc. You can also pay $17.95/ month for the individual plan which features Trial defense, legal document review, legal advice/ counsel, phone calls and letters made on your behalf, and coverage for single adults without dependents. 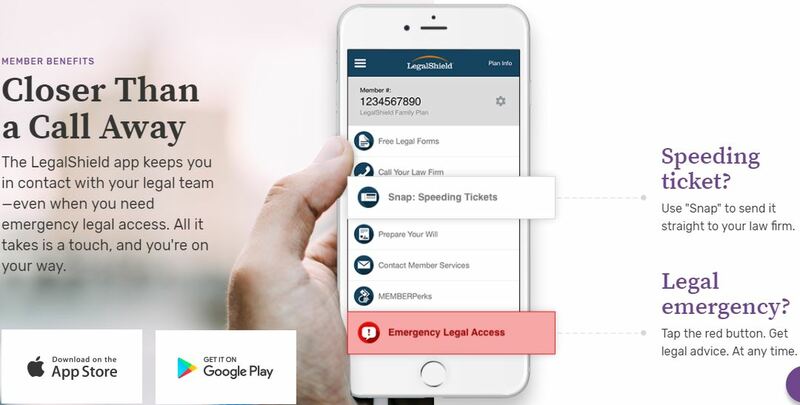 Nowadays Legal Shield has also a mobile app. This plan includes legal consultations regarding contract reviews, debt collection, landlord & tenant disputes, trial defense services, etc. Whether you select this service as a business or an individual, you’ll be provided a team of hand-picked providers who are paid in advance for their services. These vendors are hired by Legal Shield. These plans are customized based on your business needs, and thus prices vary. Step 6: Within eight hours of your request, you’ll receive a call from your attorney. Keep in mind that if you miss your lawyer’s call within the 8-hour mark, you’ll have to re-contact the law firm and you’ll have to wait another 8 hours to get a callback. Legal Shield offers various services but keep in mind that you get what you pay for. You won’t get all services for a cheap price like they want you to believe. ID Plan: This plan covers both you and your spouse. Services include single credit monitoring and restoration services and unlimited consultation. ID Plan pricing is $14.95 per month. ID Premium: Includes ID Plan services plus web watch, triple credit monitoring, SS number skip trace, and more. ID Premium costs $29.95 per month. Here is a video created by Legal Shield associates that explains their compensation plan. The video is highly promotional and is added here so you can understand how they market the system and how their compensation plan works. There are a few ways one can earn money with this company as a representative. You can make money by selling their legal packages. Here, an agent is paid whatever the membership is worth each month in advance for the first year. For example; if you sell $80 per month package, you’ll receive a relevant monthly commission on that package-plan x 12 upfront. NOTE: If a customer cancels, the money will be taken back from you. A representative can also make monthly residual commissions once a client has gone past 12 months. You can also earn an income on your downlines efforts according to what basic level you are on within the company. From what we can tell, there are seven different compensation plan levels. The real potential for earning money is by recruiting hundreds of new members. It allows you to earn passive income. But I know that recruiting isn’t interesting for everyone. Keep in mind that Legal Shield hasn’t published their income disclosure statement like most other MLM-companies do. You won’t know what their representatives really earn as this information is not available. Why are they hiding this information? Most of their associates probably spend way more money than they earn within the system so income disclosure wouldn’t look very good. Legal Shield has tons of complaints on the Internet most of which are centered on issues with their services/products. If you have googled Legal-Shield online, then we are confident that you have stumbled on negative reviews with the majority citing poor customer service, unqualified lawyers, complicated contact procedures, problems with canceling the membership, and high hidden costs. 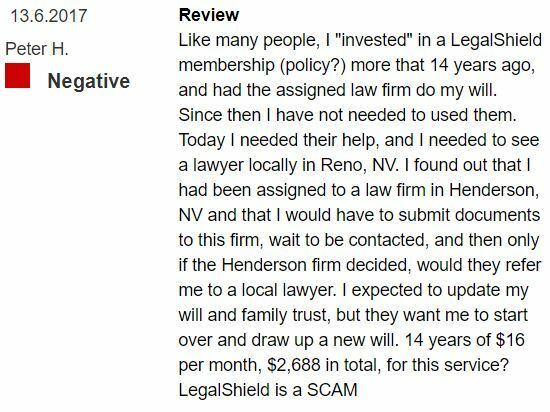 There are literally hundreds of negative reviews of Legal Shield on the Internet. On the other hand, some customers have enjoyed their services for years. Just like any other lawyer you retain, you get what you pay for. Since their prices are so low, do not expect help as you would from knowledgeable and highly rated firms. Another thing we have noticed is how negatively their customer service is rated. There are tons of negative comments where past customers attest to having difficulties when they tried to cancel the plan. The professionals are also said to not care too much about solving your problems. Virginia had a negative experience with Legal Shield. She lost lots of money with this company. Peter lost $2,688 with Legal Shield without getting the help he would need. Donald H. has enjoyed Legal Shield already for 25 years. Wil D. had positive experiences as well. Notice that when somebody has been a member for 15-25 he has paid thousands or even tens of thousands of dollars for the company over the years. We are not talking about a cheap service here. Conclusion – Is Legal Shield a Scam? Many former Legal Shield customers and representatives claim that it’s a scam. They had many negative experiences with the support. They paid expensive monthly fees and starting packages but never got the help they wanted. First of all, Legal Shield is not an illegal pyramid scheme. They put a great emphasis on recruiting like any other MLM-system does but they also have a real product which is their attorney service. However, the fact that their system is legal doesn’t mean that you and I should join the system right away. The reality is that more than 97% of network marketers never make even the money back that they spend on the products. Only less than 0,1% of all those marketers will be able to buy that big mansion. And around 0,01% (one in ten thousand) will be able to buy that mansion and Ferrari. I am not saying that it would be impossible to make money with Legal Shield. You can definitely succeed but it requires a huge work, tons of recruiting and selling. I am not a huge fan of this kind of MLM-programs. In addition, numerous complaints of Legal Shield customer support make it quite suspicious. I have shown what I think about this system but after all the choice is yours. In the end, I would like to offer you an alternative way to earn a living. I make living by promoting other people’s products online and have a freedom to travel around the world. I am not a part of any MLM-scheme and I don’t need to recruit other people. If you want to learn to make a living online like I do, have a look at this step-by-step training for free. What do you think about Legal Shield as a business opportunity? Do you know anyone who has joined this program? 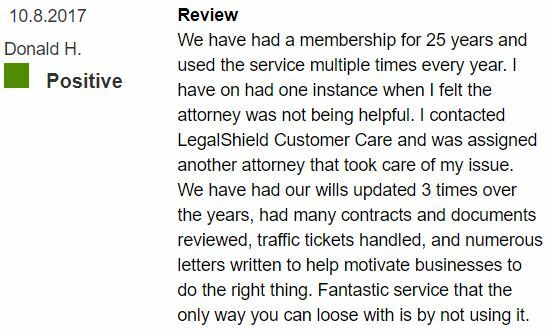 Legal Shield really offers attorney services and some people enjoy it. Learn to Make a Living Online Like I Do!